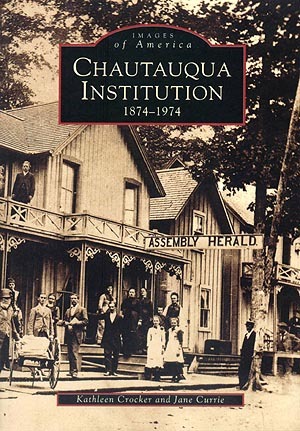 Founded in 1874 as a summer camp for Methodist Sunday school teachers, the Chautauqua Institution is synonymous with the ideas of spiritual growth, educational study and intellectual stimulation. About 200 nostalgic photographs, postcards and maps trace the impressive growth of the Institution from its inception at Fair Point to its centennial celebrations. Authors Kathleen Crocker and Jane Currie penned a unique book that was introduced by Arcadia Publishing in its Images of America series. Fascinating facts and memorable images provide a glimpse of the Institution's architecture, its founders and the events that have helped to give birth to this renowned site. The book is an insightful guide for armchair travelers and seasoned Chautauquans alike.